Description: An all organic liquid additive formulation designed for low level concentrations which contain a unique combination of contact and vapor phase inhibitors. 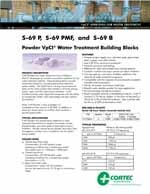 FEATURED IN: Green Water Treatment Corrosion Inhibitors Featured in PACE Magazine! 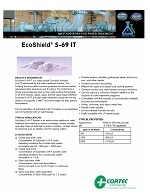 FEATURED IN: CorShield S-69: Cost Effective Solution for Water Treatment Industries Featured in EnergyTechnology Magazine! 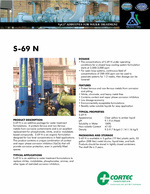 FEATURED IN: CorShield® S-69 Featured in Sensors Online Magazine! FEATURED IN: Anticorrosion Additives are Nontoxic, Water-Soluble Featured in The Fabricator Magazine! FEATURED IN: Solution for Water Treatment Industries Featured in Stahleisen Magazine! FEATURED IN: CorShield Offers Water Treatment Corrosion Preventatives Featured in Environmental Leader Magazine! FEATURED IN: Environmentally Sound and Cost Effective Solution Featured in Sensor Magazine! 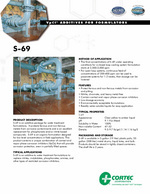 FEATURED IN: Cortec® Corporation Introduces CorShield® S-69 Featured in Special Chem Magazine! FEATURED IN: CorShield S-69: Cost Effective Solution for Water Treatment Industries Featured in Energy Technology Magazine! FEATURED IN: CorShieldR S-69 - Powered by Nano VpCI® Featured in Industry Europe Magazine! FEATURED IN: Green Water Treatment Corrosion Inhibitors Featured in Proces & Control Engineering Magazine! 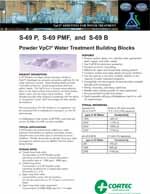 PRESS RELEASE: CorShield® S-69 - Powered by Nano VpCI® - Environmentally Sound and Cost Effective Solution for Water Treatment Industries!